Jagged cliffs running along stunningly scenic coastlines, cities framed by sky-high mountains, lush indigenous forests, golden sand beaches and prides of lions basking in the afternoon sun, South Africa is one of the best — and most stunning — travel destinations. When here, it’s not really a question of what to do, but more of a question of what to do first. Relax with a game of golf and a laid-back wine tasting, indulge in a thrilling surf session, experience a heart-pumping safari and top it off with the biggest adrenaline rush of your life as you jump from the highest bridge bungee in the world. The diversity of landscapes, people, culture and activities in South Africa will leave you asking for more. A safari is to South Africa what the Great Wall is to China; it’s synonymous, iconic, and something that must be experienced when visiting the country. 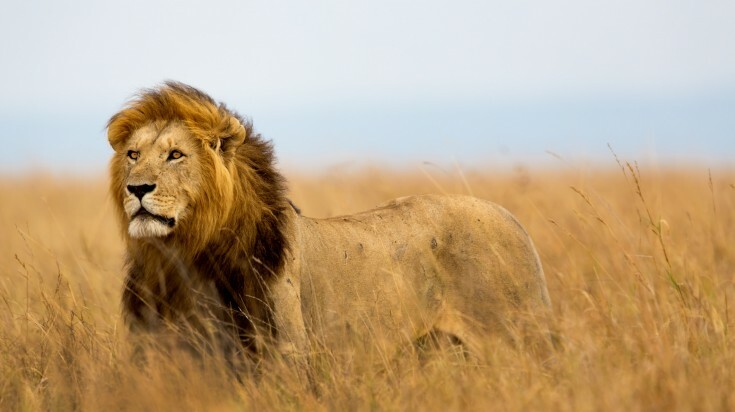 South Africa is one of the best places in the world to spot the big five game animals — the African elephant, lion, leopard, rhinoceros and Cape buffalo. 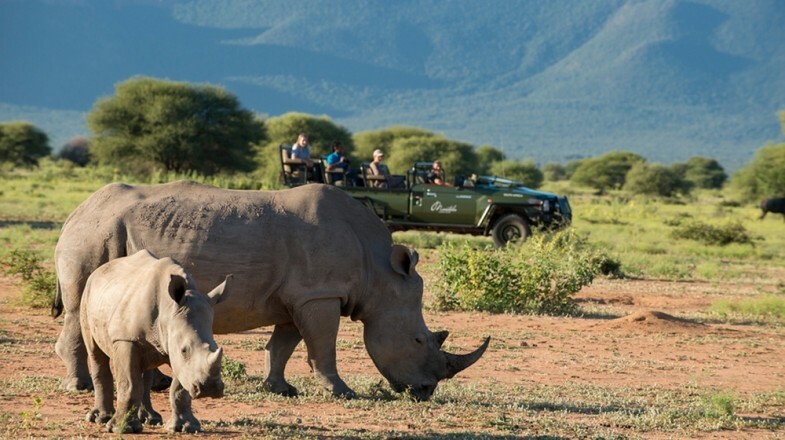 Safari activities in South Africa can be as relaxed or jam-packed as you want, however, there’s no way to control the wonder you’ll feel when meeting some of South Africa’s most majestic animals in the wild. 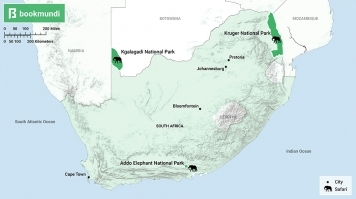 Kruger National Park is one of the biggest — and most famous — game reserves in the country. One of best places to spot not just the big five, but also a wide variety of other quintessentially-African wildlife, this world-renowned park is home to dozens of historical and archeological sites, boasting over 250 cultural heritage sites. Kgalagadi National Park offers the dramatic landscape of the Kalahari Desert for a safari. Spot a black-maned lion or the otherwise elusive leopard strutting through the wild. Get a chance to experience the big seven; the big five, whale and the great white sharks, in Addo Elephant National Park. Encounter herds of elephants; from which the park gets its name, Transval lions, rare black rhinos, and more. The park is also home to some archeological sites, making it a well-rounded destination! Best season: May to October. The dry winter and spring seasons forces animals to come to the watering holes to drink, making a spotting much more predictable and likely. If you’re thinking this is only an activity for advanced and certified scuba divers, you’re wrong. While it’s true that shark-cage diving is an activity for the bold and fearless, there are no special qualifications for embarking on this adventure. 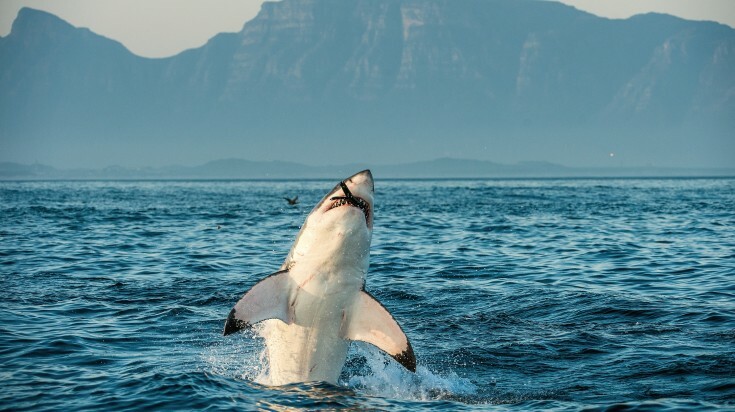 Experience the sharks of South Africa — including Great Whites — up close and personal from the protection of a metal cage. It is even possible to “free swim” snorkel with other shark species, as well as scuba dive for certified divers. 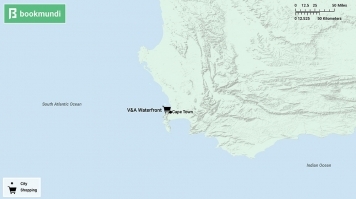 Gansbaai is a fishing town with one of the world’s biggest populations of great white sharks just off the coast. Its location just 2-hours from Cape Town has made it a popular place to take the plunge. Durban has warmer waters and attracts different shark species like blacktips, tiger, ragged tooth, dusky, and whale sharks. Best season: March to September. The colder months are when the sharks hunt nearer to the shore and swim closer to the surface. Plus, it avails the best visibility. South Africa is home to rugged terrain, sky-high cliffs, sprawling ocean vistas, dense jungles, dramatic deserts, lively cities and charming villages. 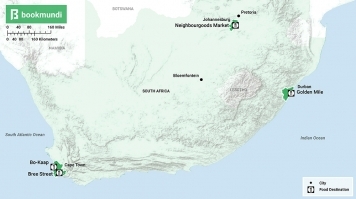 Linking them all are sprawling roads, making South Africa a road-tripper’s dream. Availing scenic beauty at each stretch, a road trip in the country is usually not about reaching a destination, it is about enjoying the journey. 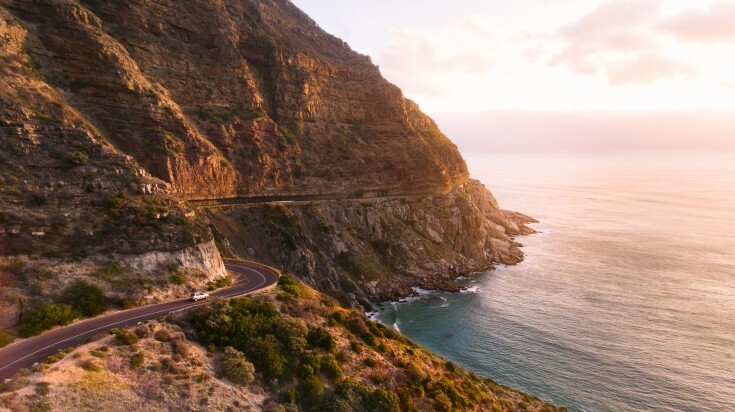 While there are many pretty natural sights in South Africa, there are some truly iconic roads just begging to be driven. 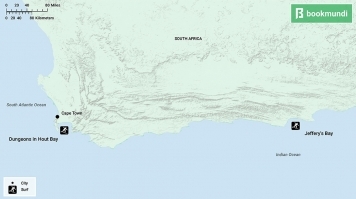 The Garden Route is by far South Africa’s most famous stretch of road. 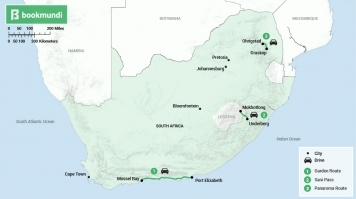 The twisting and turning 300-kilometer road takes drivers along staggeringly steep coastal cliffs, through the indigenous forests, and past the Tsitsikamma and Outeniqua mountain ranges. The Sani Pass is a drive that will quite literally take your breath away — the high-elevation gravel mountain pass requires a 4x4 vehicle and is the most challenging and demanding of its kind! A short but picturesque road trip is the Panorama Route in Mpumalanga. 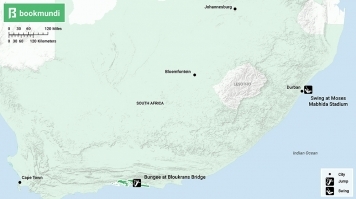 Speckled with some of the most beautiful natural wonders, the 80-kilometer route winds around the Blyde River Canyon. Stop along the route to see some stupendous waterfalls, the breath-taking God’s Window, the phenomenal Three Rondavels and more. Best season: November – March. The summer months are dry and the chance of rainfall is low. A land of diverse landscapes and stunning scenes, South Africa is a playground adventure-seekers. The best way to capture and experience the surreal landscape and wild terrain is on foot, and there’s certainly no shortage of hiking trails in South Africa. With trails ranging in levels of difficulty, there are hikes suitable for all skills and fitness levels. Table Mountain is a Cape Town icon with 8 main hiking trails and dozens of other off-shoots offering hikes of various difficulty levels. There are endless opportunities to experience the vistas, flora and fauna of the area. Drakensberg is the 200-kilometer plus mountain range in the south-central part of South Africa. 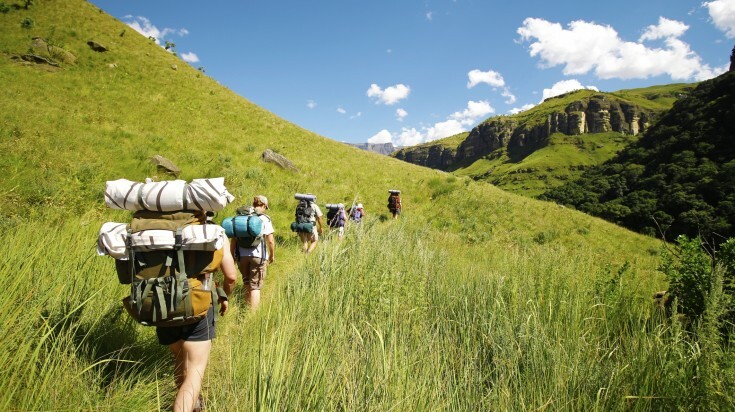 Famous for its accessible plateau, multitude of trails, strenuous climbs, and of course, breathtaking scenery and surroundings, Drakensberg is every hiker’s dream come true. Best season: November – March. The summer months provide the driest and safest hiking conditions. Think country lanes, rustic houses, rolling hills, and luscious vineyards. With all the exciting things to do in South Africa, it may be easy to overlook a more relaxing activity like wine tasting. But you shouldn’t. South Africa produces some of the world’s most exquisite wines, and there is no better place to taste than straight from the source. The Cape Winelands, nestled in the valley of the endless mountains, are quaint and surrounded by lovely, tranquil scenery, the perfect spot to sip world-class wines. 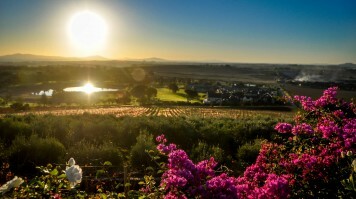 Stellenbosch is a one-hour drive from Cape Town and boasts the country’s oldest wine route with nearly 150 wine farms. The Cape Dutch-style houses set in the Jonkershoek River Valley make this quaint little town a must-visit. The surrounding mountains, adorable downtown, and excellent bistros have mass appeal. 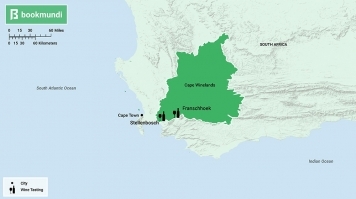 Tucked in the heart of Cape Winelands, Franschhoek is considered the gastronomic capital of South Africa. Surrounded by high mountains that are adorned in vineyards, the wineland features fifty-two fantastic wineries and is dotted with top-notch restaurants. Pair the gourmet food with a glass of wine straight from the barrel! Best season(s): February – April (autumn) and November – December (early summer). These are cooler months, hence more apt to go winery-hopping. Plus there are less crowds and some great deals to grab! 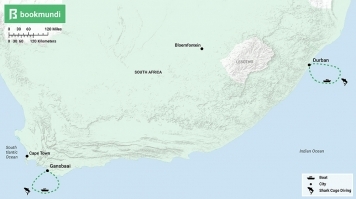 Insider’s tip: Visit Elgin Region in Western Cape, an up-and-coming wineland, that has a cool climate and produces grapes with lower tannins and more delicate flavors. When here, book an appointment with Richard Kershaw Wines. His chardonnay is exported to Beaune in France — the home of chardonnay! — by Mark Tanner from Winelands Experience. 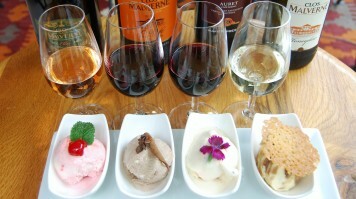 Insider’s tip: If you're visiting Franschhoek, why not try out their Wine Tram. It's a scenic hop-on, hop-off tram that wends its way through the valley vineyards, allowing you to stop off at your choice of wineries for some tasting, and perhaps a gourmet lunch. There are 2 different routes which stop at different wineries so you can plan your day according to your preferences, and it means you don't have to drive, so you can indulge in as many glasses as you like! — by Heather Cole from Conversant Traveller. Surfing South Africa’s consistent swell is one of the favorite pastimes of locals. Much of the country has been blessed with excellent surf up and down the southern and eastern coasts. From Cape Town to Durban, surfers can ride world-class waves every day. There are some spots that should be reserved only for the advanced and experienced, however, surfers of all levels can find a suitable spot in South Africa to hang ten. Jeffrey’s Bay, also known as J-Bay, is the most famous surf spot in South Africa. Due to its consistent swell, big waves of up to 20 feet, and multiple breaks, this spot has reached international fame. Dungeons in Hout Bay, Cape Town, is a legendary spot thanks to Red Bull’s recognition of the massive waves that break here. Certainly, Dungeons is only for experienced surfers looking to tackle some of the biggest waves South Africa can offer. Best season(s): Swell is year-round, but the peak surfing season is April – August if big waves are what you seek. Insider’s Tip: To escape the crowd, head to Umzumbe Beach, some 97km from Durban. A quiet coastal town, it flaunts gorgeous beaches, most of them protected by shark nets, and offering great swells. South Africa’s exposed coast and strong currents make it an underwater hotspot for all sorts of impressive fish, mammals, and sea critters. Sharks and seals definitely come to mind, however no trip to South Africa would be complete without a whale-watching tour. This is by far one of the most impressive things to see and do in South Africa. 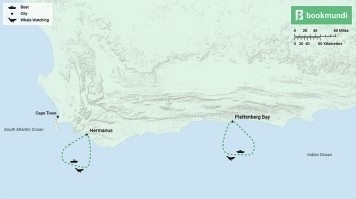 Hermanus is on what’s known as the Cape West Coast and has been declared the whale-watching capital of the world. 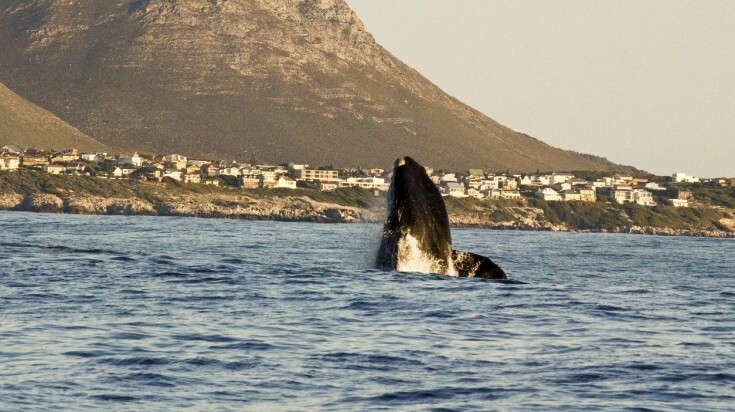 The best thing about Hermanus is that you can spot the amazing migrating Southern right whales from the stunning cliff-tops framing Walker Bay. Need we say more? Plettenberg Bay, located on the eastern portion of the Garden Route, is another great place for viewing orcas and Bryde’s whales, in addition to dolphins and seals. Best season: July – December. This is migration, breeding, and baby-raising season! South Africa certainly has a checkered past that remains an extremely important part of the country. 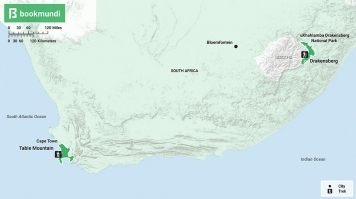 From the Dutch settlers in the 17th century, the British invasions throughout the 1900s, to Apartheid which swept through the country in the mid to late 19th century — South Africa has seen a lot of ups, down, and in-betweens. Although dark at times, it is simultaneously fascinating for visitors to learn about the culture and history that makes up this unique and diverse nation. 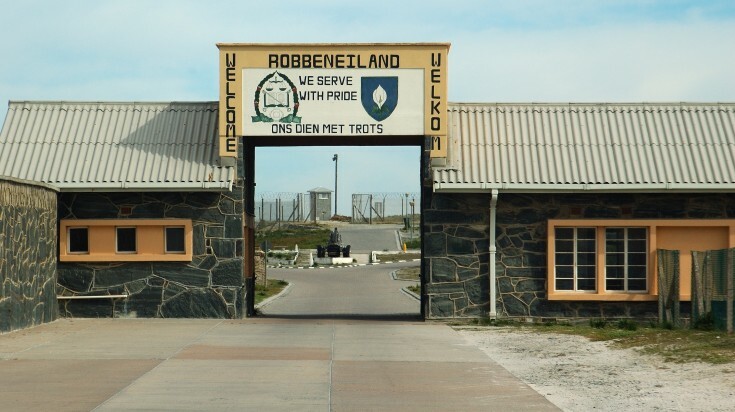 Robben Island is probably the best known historic site in South Africa. 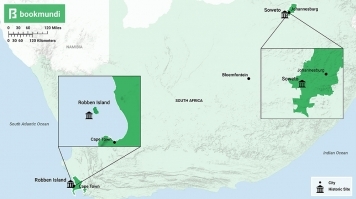 As the former location of an isolated prison, this place was used by everyone, from the 17th century Dutch to the 21st century South African government. It’s most famously known as the prison where Nelson Mandela was incarcerated for 18 years. Soweto may be a surprising sight for those who have never seen a living and breathing township. As the biggest of its kind in Johannesburg, it was formed almost 100 years ago and is still home to over 1 million people. Best season: Anytime. These sites are open year-round. 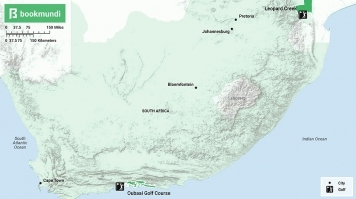 South Africa is home to some of the top-class golf courses in the world. And while many visitors to the country come for an excellent safari, many also combine the thrill of spotting a wild animal with a leisurely stroke play under the African sky. 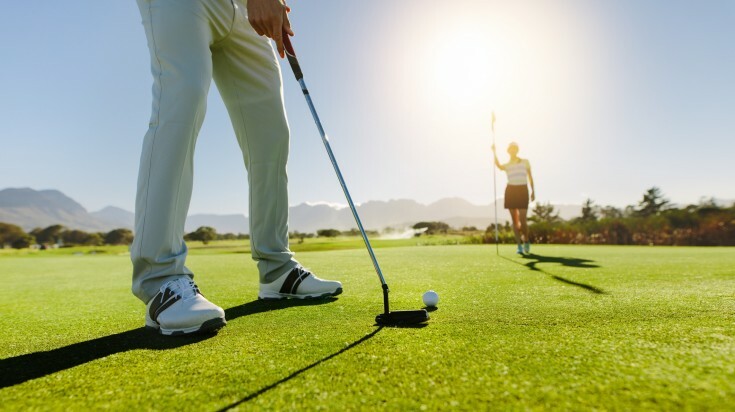 Whether you’re soaking up the cosmopolitan vibes of Cape Town, road-tripping down the Garden Route, or on safari at Kruger National Park, there’s likely a golf course nearby dripping with South African character. Getting your golf game on is no problem with the number of golf courses in this country. Leopard Creek, neighboring Kruger National Park, has hosted some of South Africa’s best-known golf competitions. The course is built along the Crocodile River and the nearby wildlife of the adjacent nature reserve often show themselves. Exciting! Oubaai Golf Course, located on the scenic Garden Route, offers some excellent ocean views; no surprise there! The view of Herold’s Bay from the 17th hole is alone worth a round on this course. Best season: The best thing about golf is it’s good any time of year. Keep in mind that that November – February can be rainy. Insider’s tip: If you are up for the greatest golf challenge, head to Legend Golf Resort in Limpopo. Its Extreme 19th sits on top of Hanglip Mountain and is only accessible by helicopter. 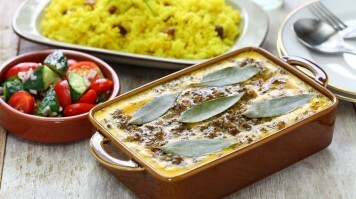 South African cuisine is special because of its diversity. South Africa has no qualms about creatively incorporating outside influences and culture from several European and Southeast Asian countries. 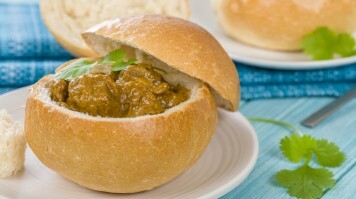 Malay-style curries, tried-and-true African dishes, braaied (barbecued) meats and fresh seafood, eating in South Africa is one of the best ways to spend your time. Cape Town has it all — check out the Bo-Kaap neighborhood for halal Cape Malay dishes, Bree Street for hip venues and hearty gourmet food, and the Neighbourgoods Market for everything else! Durban is another foodie paradise — this city is known for its barbecue, bunny chow, samosas, and locally brewed beers. Best season: Any time and as often as possible! 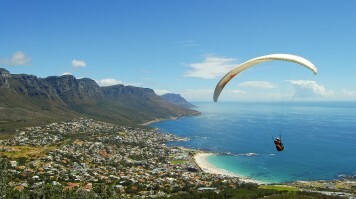 Adrenaline junkies will already know that South Africa is home to the world’s most thrilling activities. 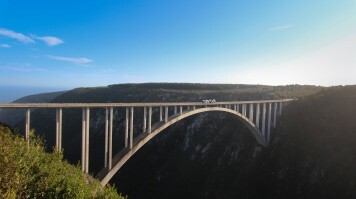 The country has the bragging rights for the highest bridge bungee jump, insane skydiving locations, and several other jumping-off activities that’ll get the ultimate dare-devil’s blood pumping and heart pounding. The daring come from all over the globe to experience one of the most thrilling things to do in South Africa, which is to take one big, massive leap. 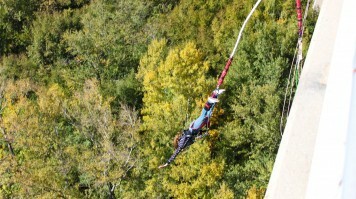 Take on the highest bridge bungee from the famous Bloukrans Bridge on the Garden Route. The location over the beautiful Bloukrans River Gorge, framed by rolling green mountains, makes for some truly spectacular scenery. But at 216-meters high, we doubt that it will be the first thing you notice. Check out Durban’s Big Rush Big Swing, an 80-meter high swing that plunges into the Moses Mabhida Stadium. Football isn’t the only high-energy activity happening here. Best season: The activities take place 365 days a year and operate in all weather conditions except for gale force winds and thunderstorms. Insider’s tip: Trust your jump master and jump at his command. The longer you wait, the more you get psyched. What better way to experience South Africa’s diverse and ever-changing landscape than by soaring over it? Take it up in the air and experience the natural diversity the country has to offer. Hot-air balloon rides and paragliding provide a breathtaking bird’s-eye view of some pretty incredible South African sights. If you are looking for a bit of extravagance, helicopter rides are also up for grabs. Climb aboard the only hot air balloon taking off from within a national park. 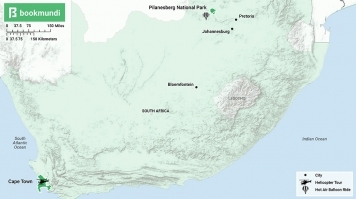 The Pilanesberg National Park in the North West Province offers panoramic views over the 550 sq km of characteristic plains and grasslands. Home to the big five, you may get lucky and spot something really incredible! 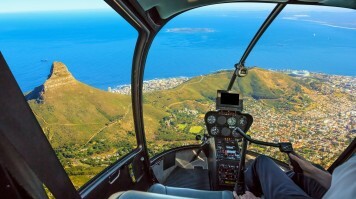 Take on to the sky in a helicopter in Cape Town. 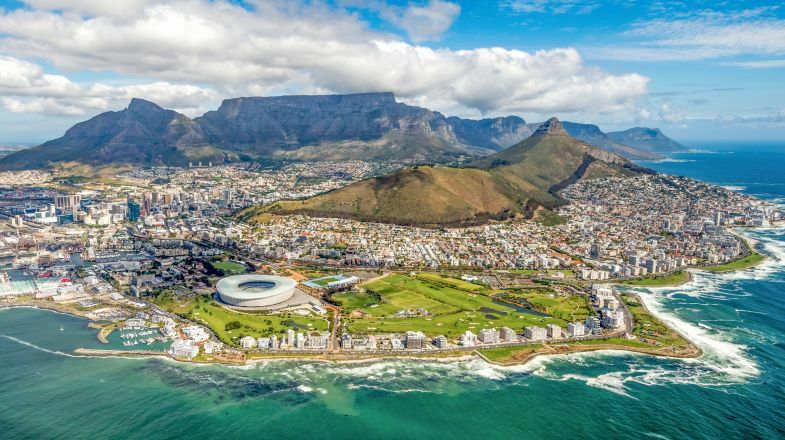 Get a bird’s-eye view of the famous cityscape, with Table Mountain and other significant hills walling its one end and the never-ending blue sea bordering its fringes. Best season: Any clear day without force winds and storms is suitable. Shopping in South Africa ranges from local, stall market steals to posh boutiques and luxurious designer duds. 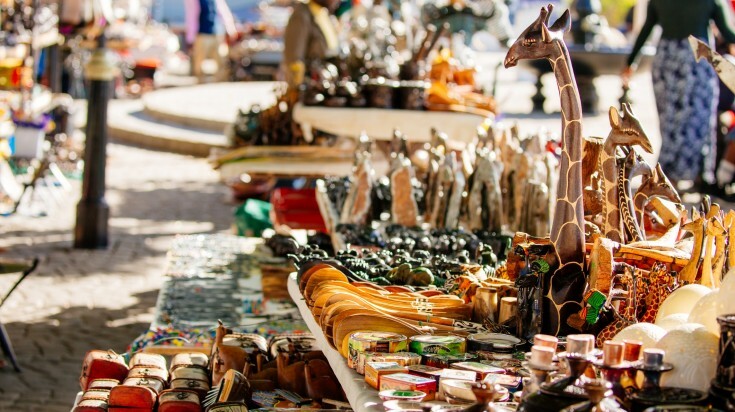 Whether you’re looking for some cheap souvenirs, locally made handicrafts, or the finest quality textiles or gemstones, you’ll find it all in South Africa. Remember, when you’re in the markets, don’t be afraid to haggle with the vendors — this is expected and won’t be seen as disrespectful. Just don’t go unreasonably low with your price and you’ll probably walk away with your goodies for a lot less! V&A Waterfront, located along Table Bay, is undoubtedly a favorite place to visit in Cape Town. With over 450 shops and restaurants, you’re guaranteed to find whatever it is you’re looking for, be it gifts, souvenirs, authentic South African textiles or boutique clothing. It’s not just shopping either, Table Bay is the it-spot for waterfront dining, live entertainment, and other family attractions. 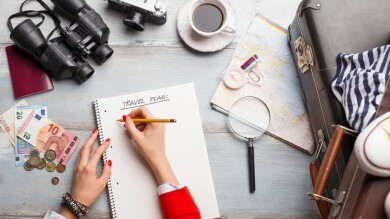 When it comes to the question of what to do in South Africa, clearly there are many answers. A holiday here can be as fast-paced or laid-back as you’d like. Shop ‘til you drop and eat ‘til you burst, or push your physical and mental limits with death-defying activities and challenging outdoor activities. 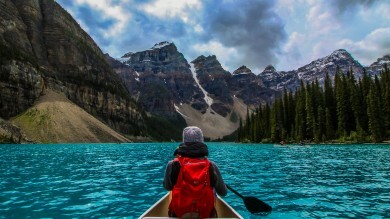 The beauty of this country is in your ability to tailor-make your very own holiday. It sure is a beautiful country. Beautiful! I think I'm in love with South Africa more than ever after reading this. Love the pictures and the recommendations. I've only been to Tanzania to witness the Great Migration and learned that timing is important to have the best trip. Is it the same in SA? When is the best time to if I want the best weather possible during our trip? I'm hoping for a dry weather but not too hot. Anyways, your blog is superb!